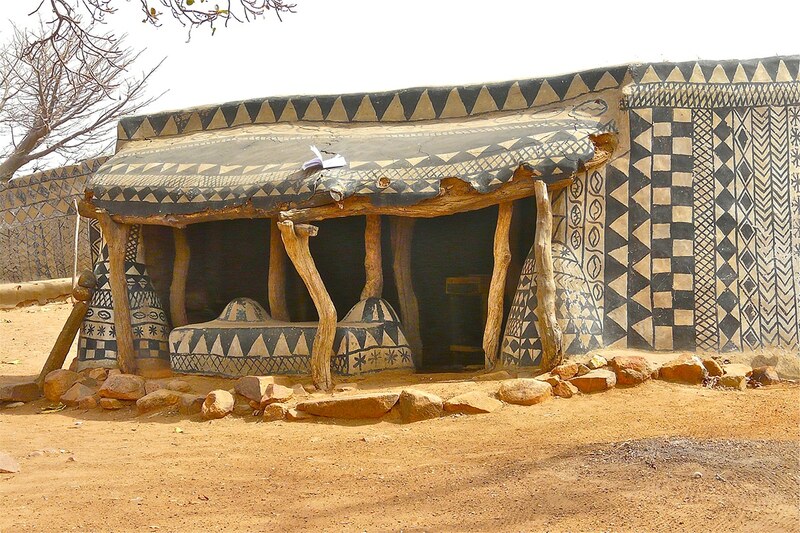 Nestled at the base of a hill, overlooking the Savannah, lies Tiébélé—an African village in Burkina Faso. 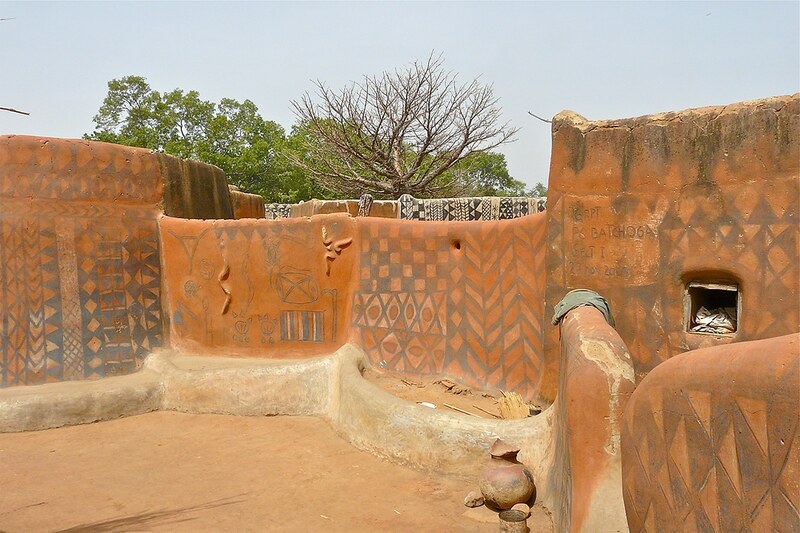 First settled in the 15th Century, the 1.2-hectare commune is home to the Kassena people, their chief, and royal court—together making up one of oldest ethnic groups in Burkina Faso. 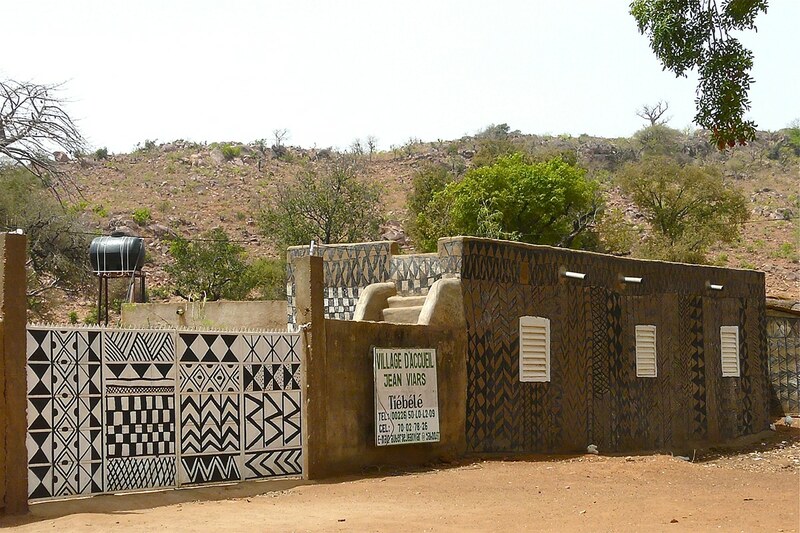 In 2009, photographer Rita Willaert and travel blogger Olga Stavrakis were lucky enough to be some of the few people ever allowed to visit the isolated site. 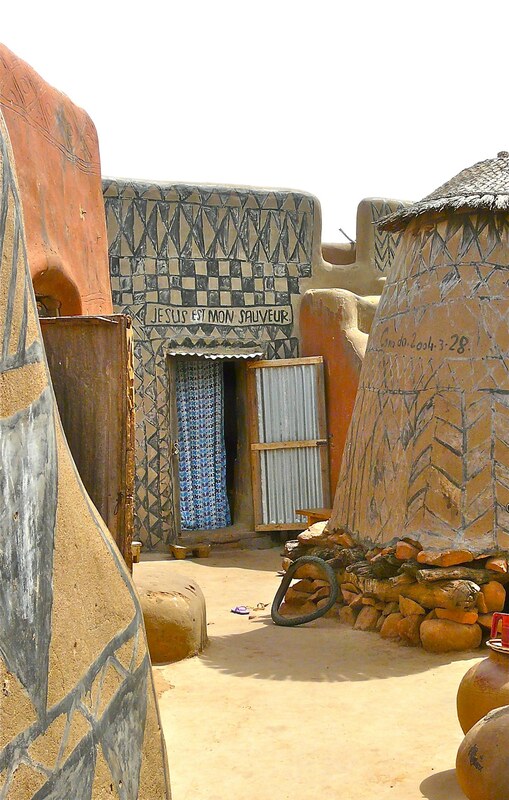 Although a royal village might sound opulent, this village is anything but. 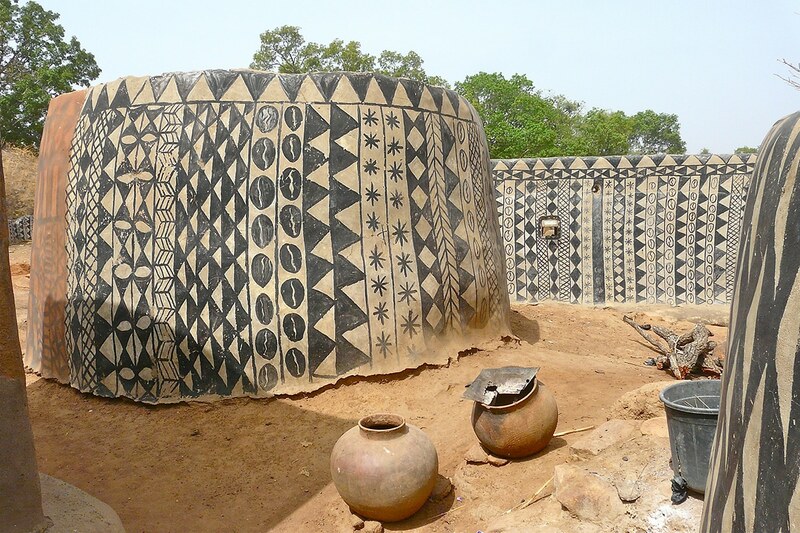 The Tiébélé royal residence is made up of a series of small clay houses that are hand-painted in different geometric patterns and symbols using clay paints. 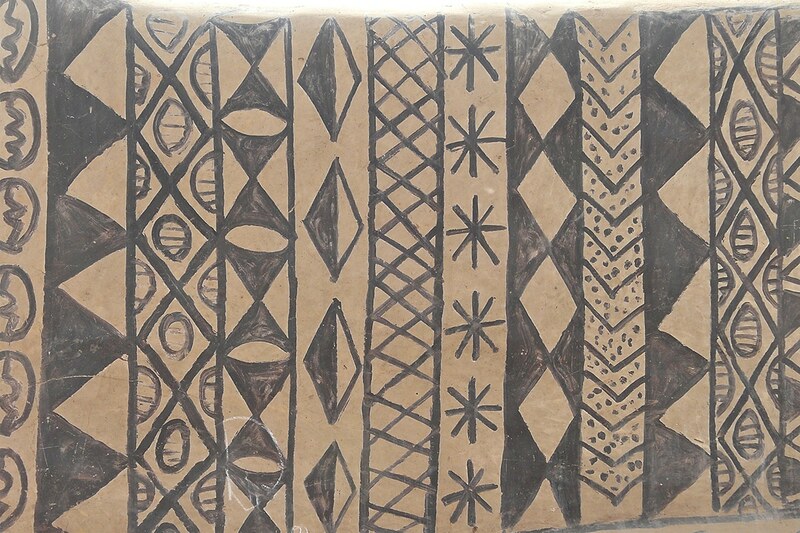 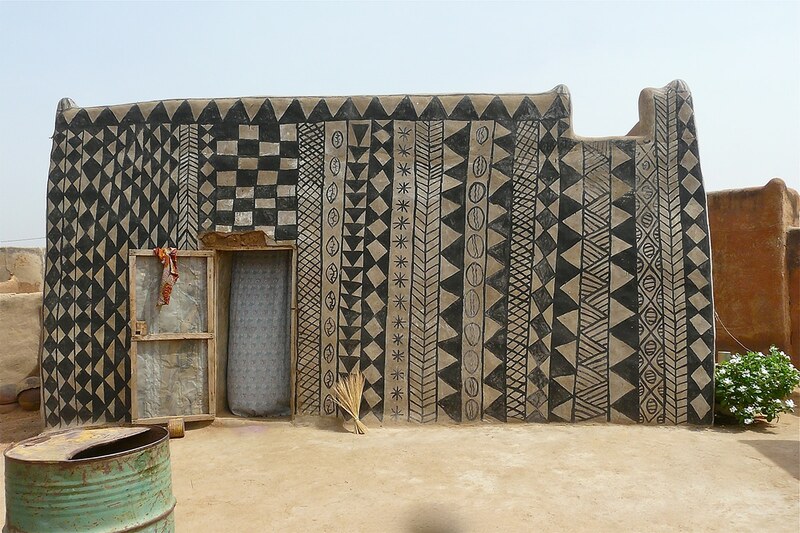 These patterns are one of the visual indicators that differentiates the royal homes from that of the “ordinary people.” Another difference is the huts’ door sizes: the chief for example, has the house with the smallest door, for protection. 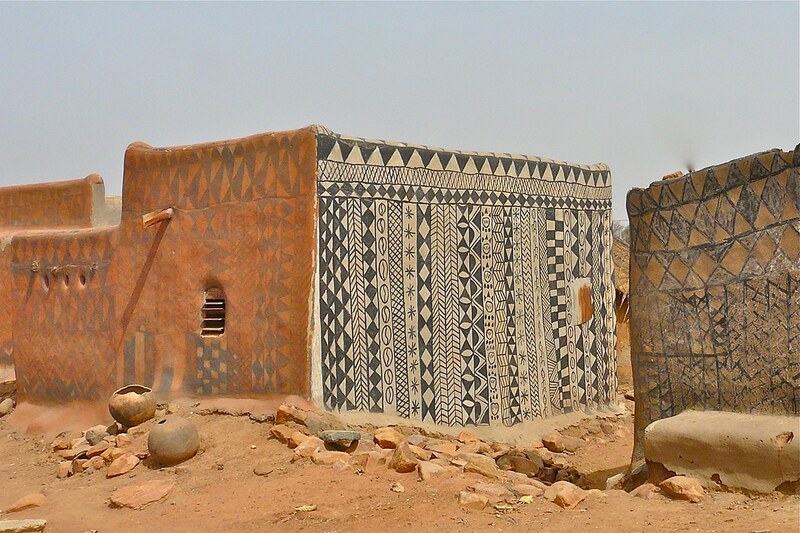 While most of the structures are homes, some of the most elaborately decorated are mausoleums, where the dead are laid to rest. 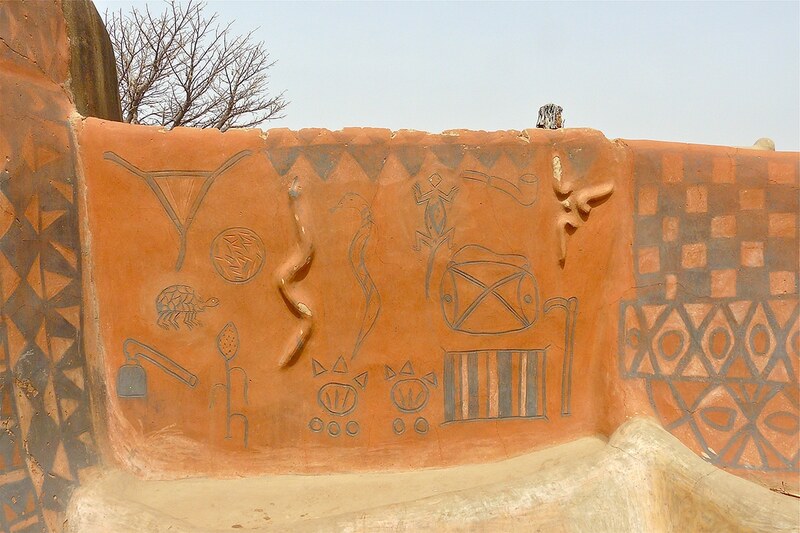 You can find more images from the team’s West-African adventures on Willaert’s Flickr, and read more about their experiences on Stavrakis’ blog, Travel with Olga. 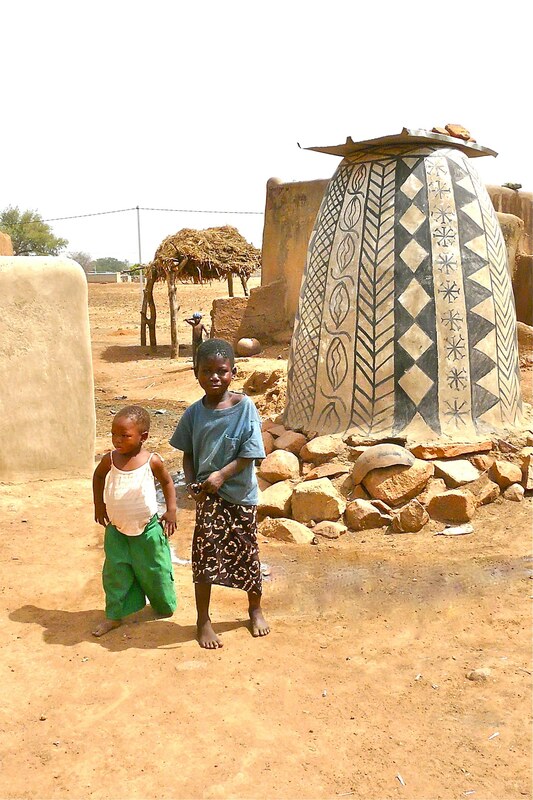 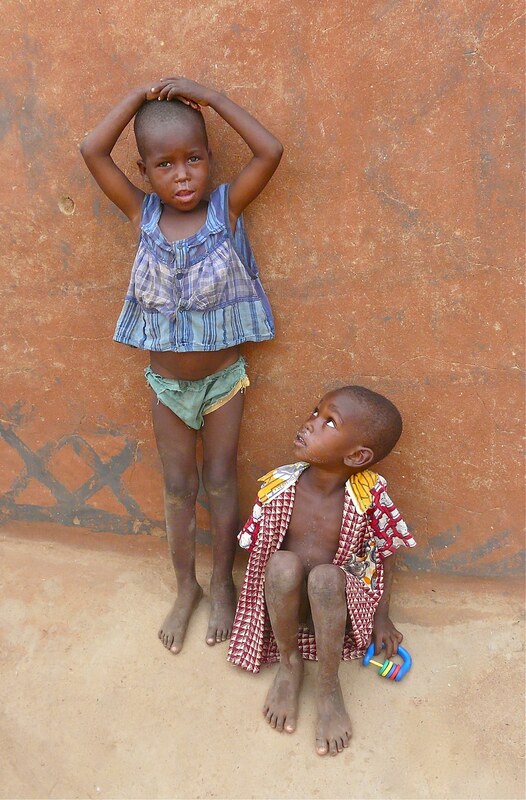 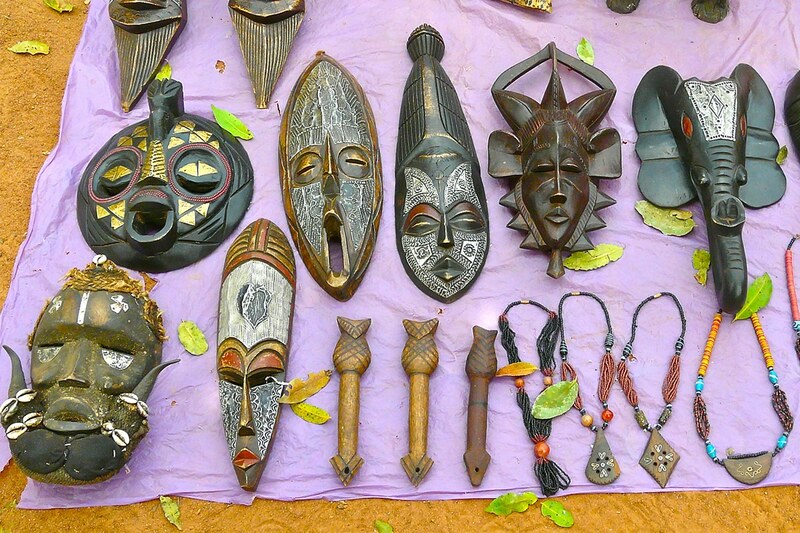 The African village of Tiébélé is home to the Kassena people—one of oldest ethnic groups in Burkina Faso. 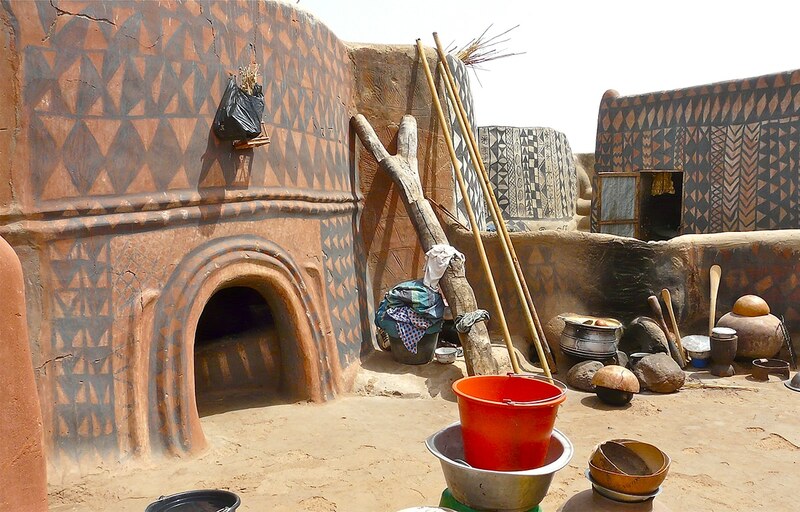 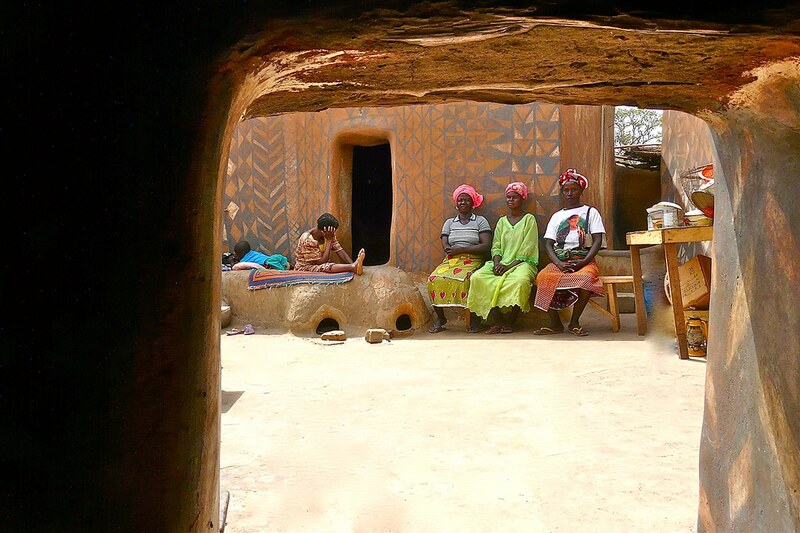 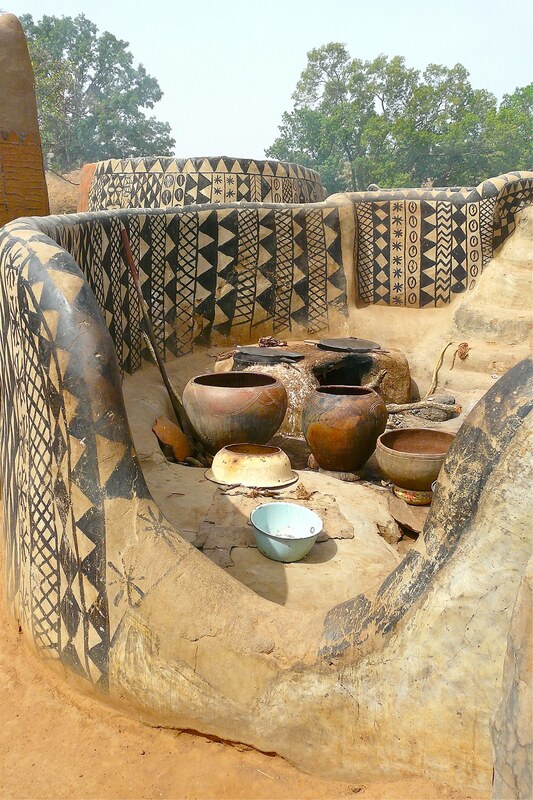 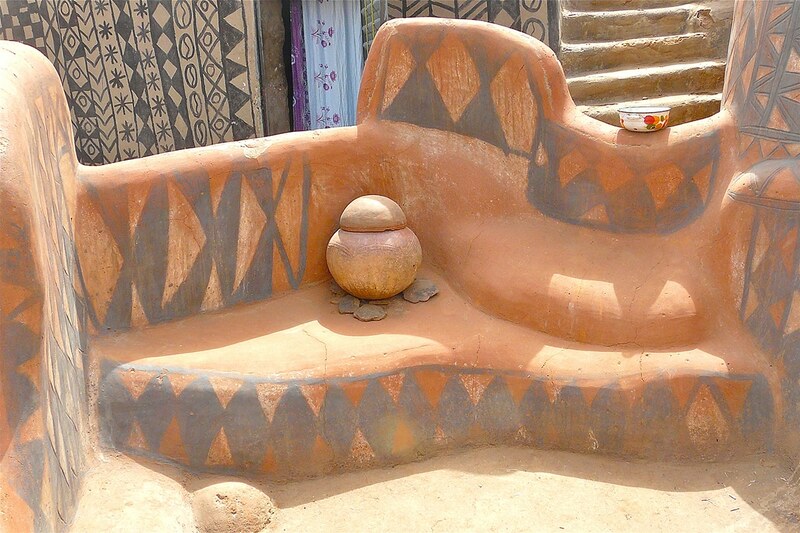 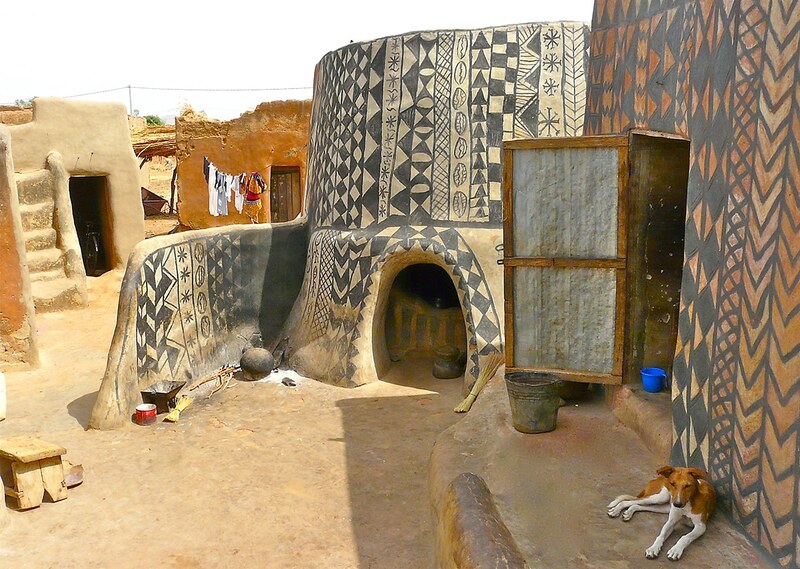 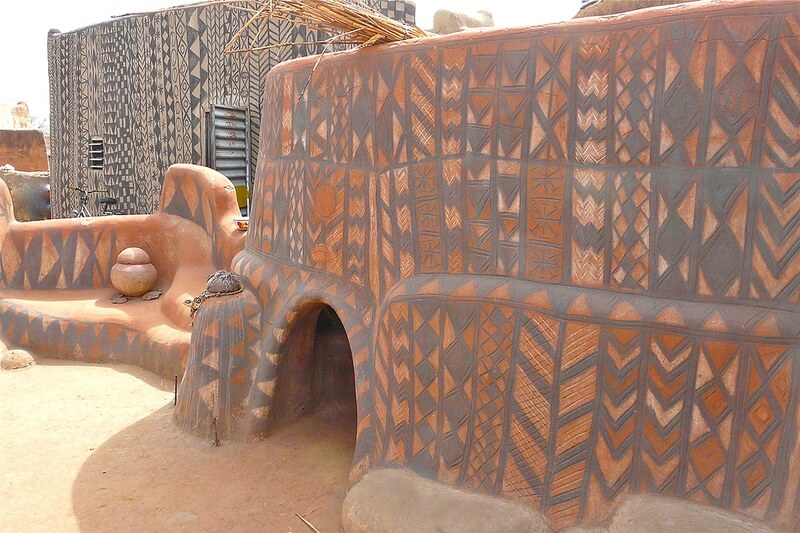 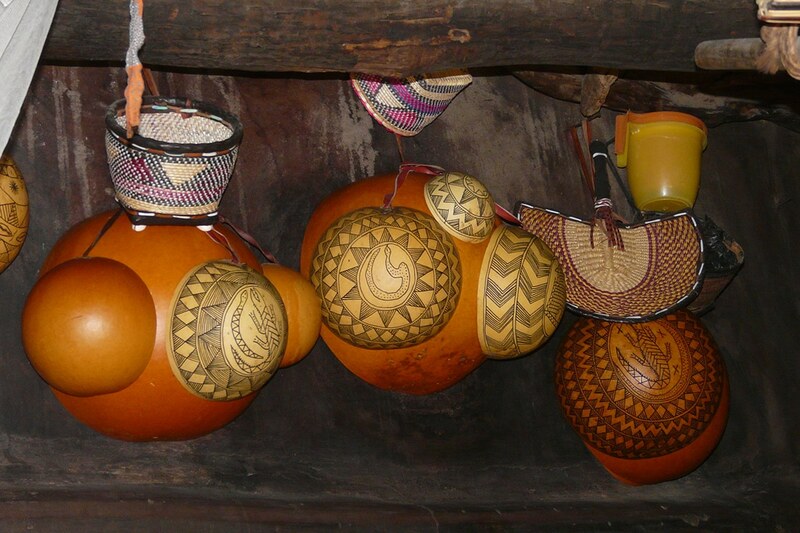 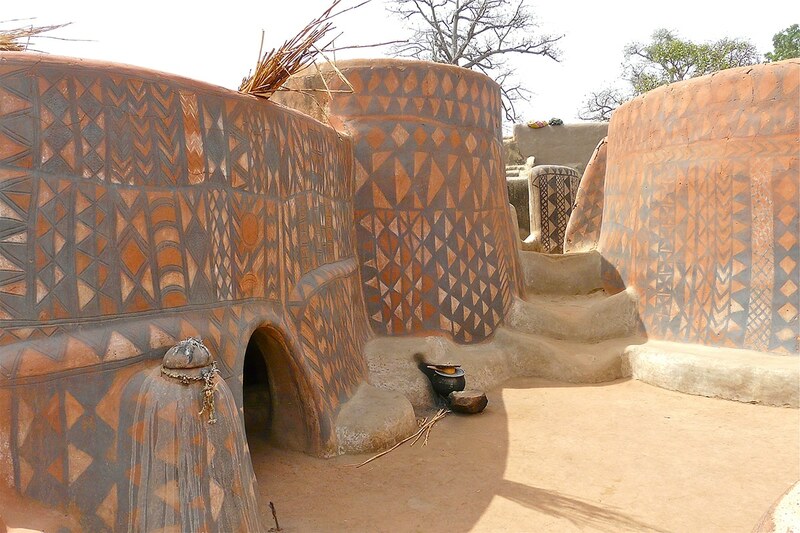 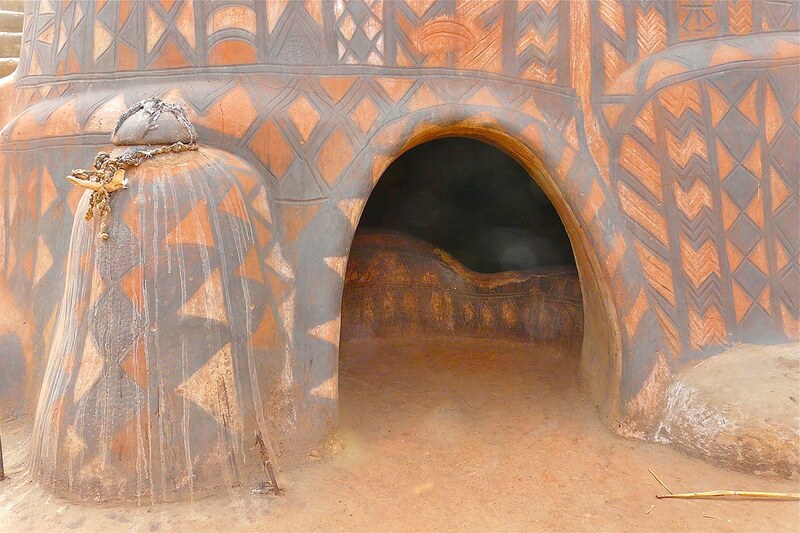 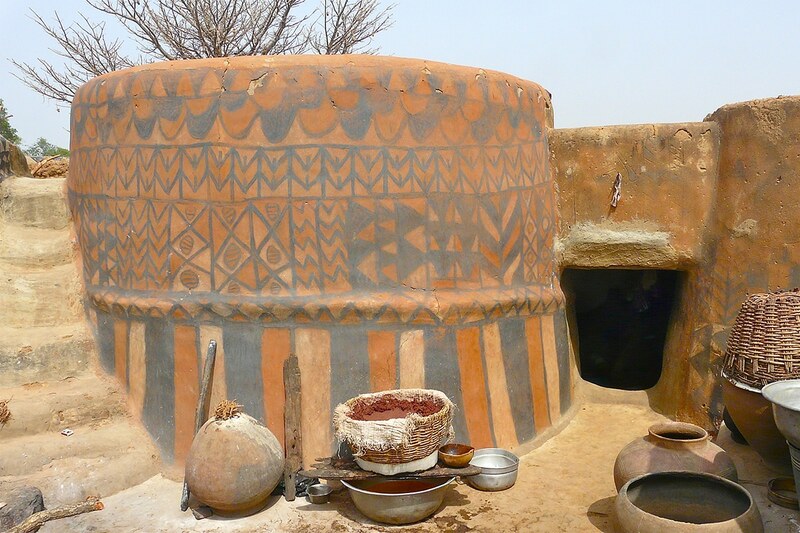 The village’s chief and royal court live in small clay houses that are hand-painted in different geometric patterns that symbolize a person’s importance. 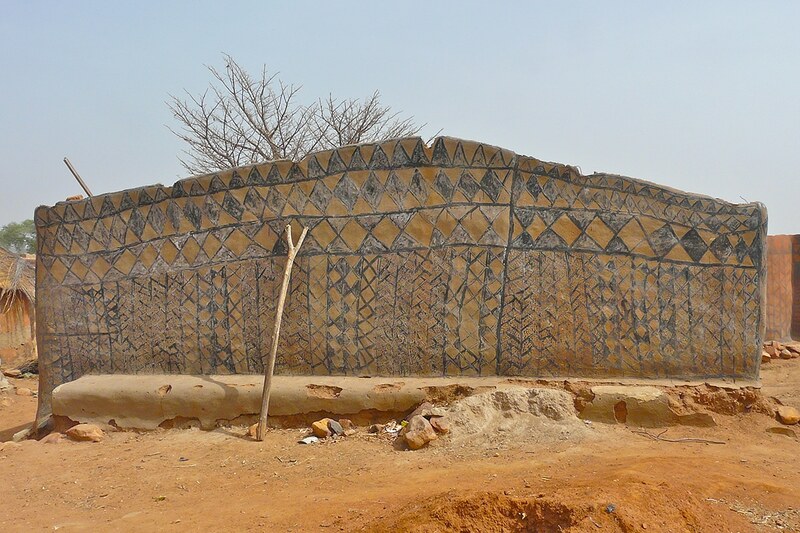 While most of the structures are homes, some of the most elaborately decorated are mausoleums, where the dead are laid to rest.